When I first read this quote, it became a pivotal moment in my life. Imagine the universe is a mind reader, and like a close friend, tells you exactly what you need to hear. And so began a very intimate journey of dialogue between myself and the universe, which evolved into leading Universe Hear Me workshops to help people ask for guidance, relieve stress, and build a healthier mind/body connection. What does it mean to “listen” to the universe? Universe convo is not a therapy replacement—though a much cheaper option. It’s developing presence and awareness through a yoga/meditation practice to recognize what’s happening right now, which often guides us to what’s ahead. Listening to the universe, essentially, is tapping deeper into your own intuition. How do we ask for guidance from the universe? First, get SUPER clear on what it is you’re asking. If you’re uncertain, the guidance will be unclear. Show action and do research around it, as if you are proving your capability to a trusted adviser. Then, speak clearly and directly to the universe: “I am asking for guidance about _____ because it will help me _____.” It helps if you write it down, and revisit your intention daily. Finally, visualize the universe answering your guidance prayer. What does it feel like? Look like? Sound like? This communicates your trust in its support. How do we hear what the universe is saying? To begin, ground yourself and quiet the mind, so that the chatty ego takes a backseat to the Q&A. When you ask the universe a question like: “Is this job offer right for me?” see what pops up. Maybe it’s words, an image, or tension in the body—generally this is a hard no. Or perhaps it’s the feeling of excitement, meaning yes! Guidance can also show up in nuggets of hidden messages. Pay attention. When I asked the universe for guidance on how to share my writing with a like-minded community, I saw an image of my cycling instructor. I booked a class, thinking it would be my outlet. But as I packed up after class, not a glimpse of hope. I asked a sweaty cyclist for a hair tie and she handed me one that read “Wanderlust” on the seam. I was intrigued and went home to research Wanderlust.com and saw they were looking for writers. Now, here I am, helping you seek guidance from the universe. How do we practically apply it? 1. Making a big decision. Get grounded, close your eyes, and feel into the decision. How does it feel physically? Emotionally? Is your breath shallow? Deep? Listen to the sensations that arise. The physical body can be a clear vessel of guidance from the universe. 2. Feeling stuck or lost. Sit with this question. Ask it often. Listen closely. Look around. Remain curious. And, most importantly, be patient. Write down this question and then have a conversation with love like it’s one of your best friends. Ask questions like: “Where can I find you?” Or “Why have you hurt me?” And “What is the lesson you want me to learn?” Take some deep breaths between each answer and see what comes up. This, in theory, is the universe talking through you. Ashley Rose Howard is a writer and RYT 500 vinyasa yoga and meditation teacher. 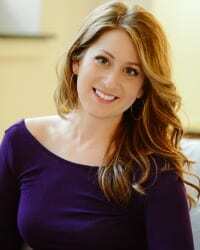 Her writing has been featured in several health and wellness publications featured here. Teaching yoga and meditation has become an essential part of her journey providing the tools to ignite a harmonious connection of mind, body, and spirit. For more inspiration, visit her website universehearme.com or follow her on Instagram @universehearme.